Attorney Margaret Cone set out to create a leadership program in 2008 for emerging religious scholars and leaders in the U.S and Middle East at her alma mater, the University of Michigan. The idea was to help American and Muslim students understand each other's culture better. 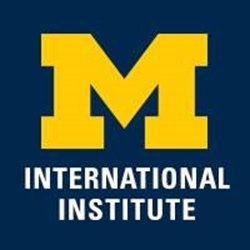 After shuttling back and forth to the Middle East and Washington, Cone secured $2 million for the World Leadership Program from the crown prince of Abu Dhabi, Sheik Mohammed bin Zayed al-Nahyan, and nailed down a commitment from U-M Professor Sherman Jackson to run the program at the university's International Institute. But in a federal lawsuit scheduled for trial later this year, Cone says Jackson, who is no longer at the school, and two others -- Professor Mark Tessler and administrator Dave Howell -- took about $300,000 of the funds to create and administer the program at U of M, but did no work and never intended to. The program for 32 people -- 16 from the Middle East and 16 from the U.S. -- never began at the school and was moved to Georgetown University in Washington in the summer of 2010. The unusual case involves an agreement that fell apart, spiced with ingredients not typically part of a contract dispute -- two professors and an administrator accused of duplicity, a university defending them and a foreign prince's funds being shifted around. Cone, after law school, developed a keen interest in U.S. foreign policy in the Middle East and wanted to improve relationship between the U.S. and Muslim nations. Her legal claim, filed in U.S. District Court in Detroit two years ago, alleges breach of contract and accuses the trio of defrauding her and the program. Its says Tessler personally pocketed $17,660 and Jackson got $74,667. Her attorneys are trying to determine how much Howell got and what happened to the remainder of the $300,000. Attorneys also suggest in court documents that defendants allegedly altered evidence. They believe Tessler and Howell, associate director of the Center for Political Studies, schemed to improperly take money from another grant affiliated with the university and the government of Qatar. Cone was not associated with the Qatar grant. The lawsuit says Cone, a former executive assistant to Mayor Coleman A. Young and past lobbyist for the motion picture industry, lost $438,155 in out-of-pocket expenses, $300,000 in expected profits from the first year of the program and $1.2 million in loss of reputation for failing to carry out program. Cone sued the United Arab Emirates, which was involved in the program, for reimbursement of her spending and and eventually got back about $220,000. But in all, she contends she's still owed more than $400,000 in services and expenses. Thomas B. Borque, an Ann Arbor attorney being paid by the university to represent all three defendants, declined to comment to Deadline Detroit because it's a pending lawsuit. Rick Juckniess, Cone's Ann Arbor attorney, also declined comment, citing the pending case. Administrator David Howell, via email, declined comment. Jackson and Tessler did not immediately respond to a request by email for comment. Cone, who lives in New Orleans, deferred to her attorney for comment. "We believe a story at this point may be premature. Court-ordered mediation is scheduled for Thursday. Motions for summary disposition, filed by the university, will be heard this spring. "Ms. Cone did not prevail in two earlier lawsuits regarding this matter." The university is shielded from being sued in this case, based on a legal technicality. The defendants say in court filings that the statute of limitations has expired and individuals can't be liable if they act on behalf of the university and follow its policy. 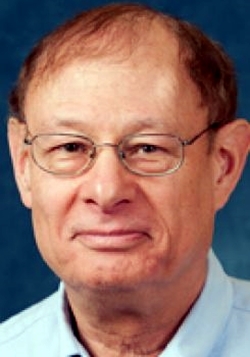 By 2009, Professor Sherman assured Cone he had arranged to host the World Leadership program at the University of Michigan International Institute. The program consisted of a two-week seminar in the summer of 2010 and English lessons for foreign participants. Jackson then recruited Tessler and Howell to help pull off the program. But Cone detected problems and learned that the men never got approval from the university to host it at the International Institute, her suit says. So the program then shifted to the University of Michigan Center for Political Studies – Institute of Social Research in Ann Arbor, where Howell is an administrator. The center is affiliated with UM, but is independent and independently funded. The $300,000 for the program was transferred there and the funds were no longer under university scrutiny, the lawsuit contends. "They paid themselves unearned monies . . . without proper accounting for the funds," a motion filed this month says. "Defendants specifically sought to avoid taxpayer oversight and supervision by the Office of Management and Budget, who would enforce the University's rigorous controls and procedures." Cone didn't know the men had no intention of executing the program, the suit alleges. For instance, Jackson allegedly had overseas commitments in summer 2010 when the program was supposed to happen. He also allegedly was working to secure a tenure position at the University of Southern California that would have taken him out of state and conflicted with his ability to fulfill the contract. Jackson now chairs an Islamic Thought and Culture program at USC, where he's a professor of Religion and American Studies and Ethnicity. Eventually, the men told Cone they couldn't put on the program. She arranged English lessons for the 16 Middle East students at an Ann Arbor language program with no ties to UM. And the two-week leadership seminar was held at Georgetown. Her Mideast backers were disappointed and the program, which was supposed to continue for multiple years, ended in 2010 after the two-week seminar. Aside from the $300,000 in question, the remainder of the unspent money for the program was returned to the UAE. "Plaintiff's reliance on defendant's false representations permanently damaged her relationship with al-Azhar and the UAE and ended any chance of further cooperation from al-Azhar and/pr funding opportunities from the UAE."